There is nothing more worthwhile and rewarding than making a difference in the life of a young person. We are fortunate enough here at the AthLife Foundation to witness incredible coaches and educators across the country impact and inspire kids day-in and day-out. In tough educational environments, talented educators and students need teammates that are both loyal and supportive. We have been fortunate enough to have that kind of teammate in the Heisman Trophy Trust. Since 2012, the Heisman Trophy Trust’s support of our mission has been unwavering and as a result, the students that we collaboratively serve have responded. 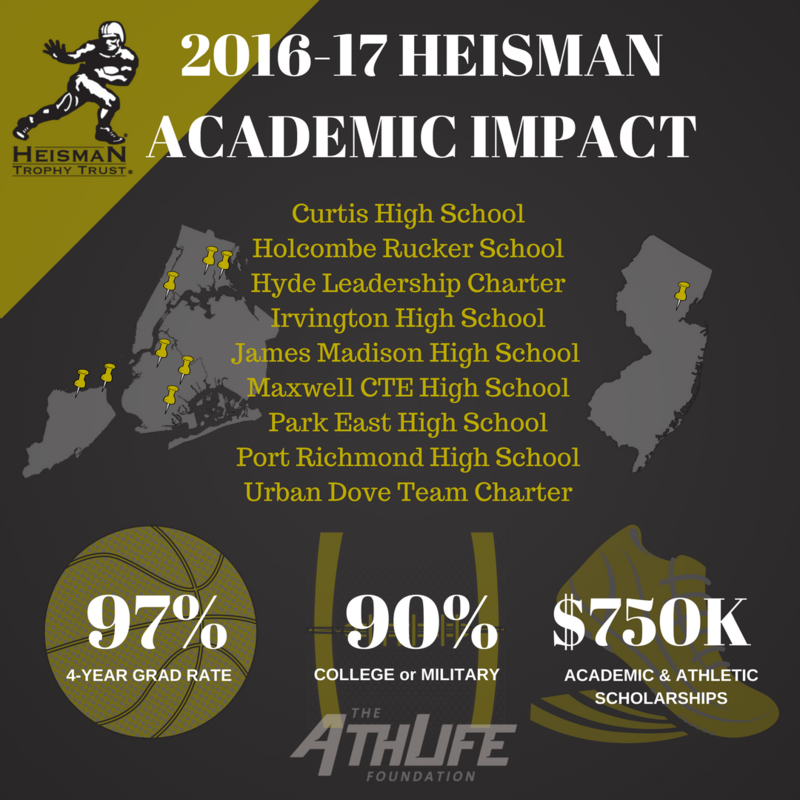 As you analyze the statistics from all the Heisman Trophy front runners in the next week or so, we welcome you to keep an eye out on our social media this week and next for a look at the life-changing impact that the most prestigious award in college football has produced for over 1500 kids across New York City and New Jersey!